Nothing like a Texas storm. 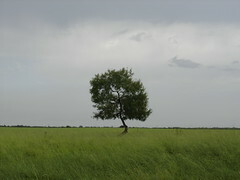 Love the tough vulnerability of that lone oak tree, set in lime green grasses beneath a gray sky. The storms are one thing I miss about TX! I lived in Houston from 78-81 or so(I know we left in '81 but I can't remember when we first got there - I was too young)!